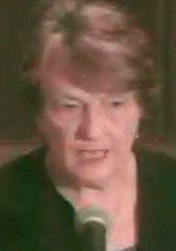 « Dr. Caldicott’s October 2014 speech: The Ukraine Crisis, Is Nuclear Conflict Likely? In her introductory remarks, Dr. Caldicott tells the audience how her concern about accidental nuclear war was raised by reading a 2014 article on advances in artificial intelligence in The Atlantic Monthly, But What Would the End of Humanity Mean for Me? Preeminent scientists are warning about serious threats to human life in the not-distant future, including climate change and superintelligent computers. Most people don’t care. Also read Stephen Hawking warns artificial intelligence could end mankind. Dr. Caldicott mentions that conference presenter Janne Nolan of the Elliott School of International Affairs said that the conference was the most importance conference taking place in the U.S. today. Dr. Caldiicott also refers to corporate greed, particularly on the part of weapons makers, as part of the renewed anti-Russian stance of the U.S. government. Read Game On: East vs. West, again by Andrew Cockburn, Meet The Big Wallets Pushing Obama Towards A New Cold War, The US Is Pushing Toward WWlll, A Former Reagan Administration Member Speaks Out and Russia, NATO, and the Hubris of the US Political Establishment. Dr. Caldicott notes that Vladimir Putin has raised the nuclear weapons alert level. President Obama never fulfilled his 2008 campaign promise to de-alert nuclear weapons. Read the June 2016 article by Robert C. Koehler, Hair-Trigger Alert: On Bombs, Guns, and the Failure of America. Theodore Postol, a professor of Science, Technology, and International Security at the Massachusetts Institute of Technology. Postol was a guest on If You Love This Planet in 2008. Postol covers the technical issues which greatly increase the risk of accidental nuclear war. He states that the danger of nuclear war is now higher than during most of the Cold War (1947 to 1991). Among other issues Postol covers are the fragile Russian early warning system and how little U.S. leaders have done to address what should be the most urgent international priority to safeguard the planet. 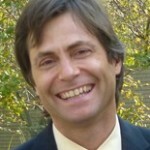 The next presentation is by Max Tegmark, physics professor at MIT and one of the writers with Stephen Hawking of the 2015 warnings about the dangers of artificial intelligence. Tegmark, concerned about nuclear war since his teens, delivers a cosmic perspective on the need to take our heads out of the sands and remove the nuclear danger from all of our lives. 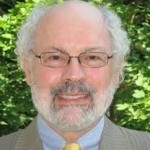 He addresses the folly of increasingly allowing computers and robots to make decisions for us. Tegmark praises retired Soviet colonel Stanislav Petrov, who as a thinking human was able to save the planet from nuclear war in 1983. The last speaker in this segment of the conference is Alan Robock, professor in the Department of Environmental Sciences at Rutgers University. Robock was featured as a guest on If You Love This Planet in 2008 and 2011. Robock focuses on the risks of nuclear winter and nuclear famine, not only from a U.S.-Russian exchange but also from a war between nuclear-armed India and Pakistan. Even a limited war would pose a catastrophic threat to the global food supply, he notes, while nuclear winter would block out the sun and envelop the Earth in smoke, darkness and cold. The current U.S.-Russian arsenals, while reduced from their peak in the 1980s, are still large enough if used to induce nuclear winter and the end of life on Earth. This segment also includes the question-and-answer section following the presentations. If You Love This Planet will bring the rest of the Dynamics of Nuclear Extinction conference to listeners in future episodes. This entry was posted on Thursday, June 23rd, 2016 at 11:58 am	and is filed under Uncategorized. You can follow any responses to this entry through the RSS 2.0 feed. Both comments and pings are currently closed.